The feedback project can be stressful. Many people feel fear to ask about their performance. Yet, there are strategies leaders can take on to defuse the stress. Leaders often focus only on recent events or talk of things that go wrong. As a result, the opportunity to provide a balanced feedback is lost. As leaders, we need to empower our direct report. We need to communicate things that need to be reinforced and those that need to be replaced. The SKS Model is a simple but effective tool in giving effective feedback. 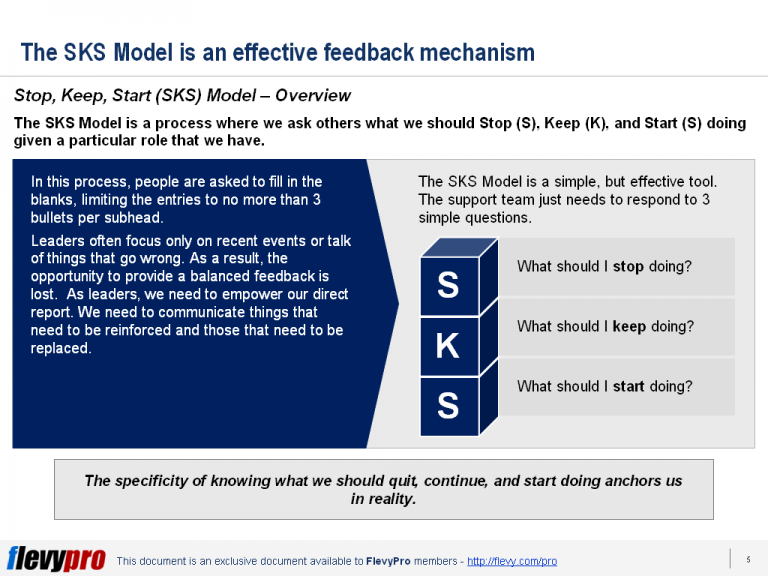 Generating effective feedback requires leaders to go through 3 Stages of the SKS Model with their support team. This looks at what actions that are being done and need to be stopped immediately. This first stage will help us identify behaviors that are keeping us stuck and those that will help us move in new directions. This 2nd stage mentions a couple of activities that are being done well. It brings out the good practices and impacts it has on coworkers and business. The Keep doing stage is highly motivational as it recognizes exemplary actions. This provides useful insights to invite to try new things to address situations that appear recently on the project. The Start stage makes us analyze recommendations and future actions in the context of what is best for us and our organization. The IL/IW/WI Model is one reliable framework that is almost too simple to write down but too useful not to mention. Designers rely on personal communication and feedback during design work. We request feedback from users about our solution concepts. We seek feedback from colleagues about design frameworks we are developing. Outside the project itself, fellow designers need to communicate how they are working together as a team. Feedback is best given with I-statements. 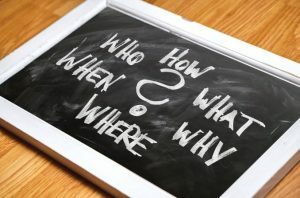 An example is “I sometimes feel you don’t listen to me” instead of “You don’t listen to a word I say.” The IL/IW/WI Model prevents defensive feelings especially on projects that we have personally invested on. It can be used for groups as small as a pair and as large as 100. While it is a simple structure, it encourages constructive feedback and several usages. Interested in gaining more understanding of the SKS and IL/IW/WI Model? You can learn more and download an editable PowerPoint about SKS and IL/IW/WI Models for Feedback here on the Flevy documents marketplace. Organizational Health Matters More than We Expect. Is Your Organization Healthy?